I was born in the late 70’s, in a small fishing town called Lagos, south of Portugal. Knitting was fashionable back then and something a good housewife was expected to know. Knitting was all around me: in the nets that the fishermen (or their wives) would so diligently work up seating by the harbor; in the cafes’ patios, where women would gather in small groups for the latest gossip while working on a new sweater that they had seen on Burda magazine; and of course, at home. I remember my mom asking me to hold her skeins of yarn while she would roll them into a woolly ball. It didn’t take long until I wanted to learn to knit too. I must have been around 5 when I wipped my first project – a simple dishcloth, made in garter stitch, all holey due to missed stitches and that I never finished. My palms were too sweaty and my stitches were too tight. I stuck to cross stitch for some time. I would see amazing things in crochet and think how I really needed to master it but it was not until 2005 that I finally decided to get to it. I was facing some bad times back then and learning to crochet kept my hands busy and my mind sane (well… as sane as I can be anyway…). I always liked maths; it was logical and it made sense. But I guess my love for science only started in high school, in Physics & Chemistry classes, playing with plastic straws and little balls made of aluminium foil, learning the basics of electromagnetism. 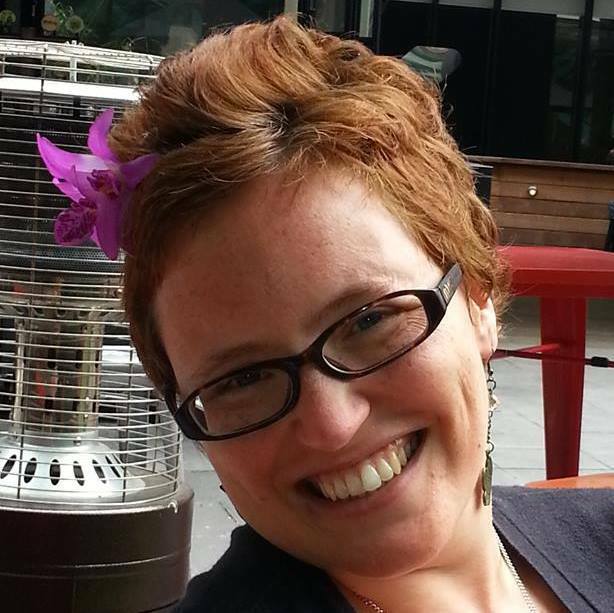 I was fortunate enough to have one of the most awesome science teachers one can wish for. Then came the big genetics boom and at 13 I knew I wanted to become a biochemist. And so I did. On the 7th of January 2011, I officially completed my PhD in Biochemistry with honor and distinction. Science wasn’t always kind to me. Too many times I found myself jobless and struggling to have food on my table. Too many times I wished I had followed my father’s advice and had become something else. So it might be understandable that for many years I wanted to keep my sciency life apart from my crafty life. It was this beautiful land down under, Australia, whom I love, that gave me the opportunity to feel happy and accomplished as a scientist. I finally made peace with science and decided to join my two greatest loves in life. 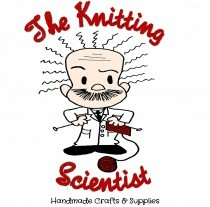 Thus I became The Knitting Scientist! Hah, funny we should both be from the South of Portugal 😀 (I’m from Faro) I can’t say I share your love for maths, but knitting is indeed a must. Have fun in your journey!